Born in Pennsylvania on 26 April 1841 (alternate birth year 1840), Thomas N. Burke (1841-1910) was a son of William Burke, a native of Ireland. In 1860, he resided in Allentown, Lehigh County, where he was employed as a cabinetmaker. He became one of Pennsylvania’s early responders to President Abraham Lincoln’s call for volunteers to help preserve America’s union. After enrolling for Civil War military service at the age of 20 in Allentown on 5 August 1861, he then officially mustered in for duty at Camp Curtin in Harrisburg, Dauphin County on 30 August as a Private with Company I of the 47th Regiment, Pennsylvania Volunteer Infantry. * Note: Company I was one of the first two companies from the Borough of Allentown to join the Pennsylvania Volunteers’ 47th Regiment, and was also the largest of the regiment’s ten companies to muster in during the Summer and early Fall of 1861 with most of its 102-man logged in as available for duty on 30 August – the same day that Coleman A. G. Keck was commissioned as a Captain with the 47th Pennsylvania and placed in charge of I Company. Although several members of the company had performed their Three Months’ Service prior to joining the 47th, most were Keck-recruited novices. The 47th Pennsylvania Volunteers then became part of the federal service when the regiment officially mustered into the U.S. Army on 24 September 1861. Three days later, they were assigned to Brigadier-General Isaac Stevens’ 3rd Brigade, which also included the 33rd, 49th and 79th New York regiments. By that afternoon, they were ordered onward by Brigadier-General Silas Casey. Marching behind their Regimental Band until reaching Camp Lyon, Maryland on the Potomac River’s eastern shore around 5 p.m., the Mississippi rifle-armed 47th Pennsylvania infantrymen joined the 46th Pennsylvania in moving double-quick (165 steps per minute using 33-inch steps) across the “Chain Bridge” marked on federal maps, and continued on for roughly another mile before being ordered to make camp. The next morning, they broke camp and moved again. Marching toward Falls Church, Virginia, they arrived at Camp Advance around dusk. There, about two miles from the bridge they had crossed a day earlier, they re-pitched their tents in a deep ravine near a new federal fort under construction (Fort Ethan Allen). They had completed a roughly eight-mile trek, were situated fairly close to General W. F. Smith’s headquarters, and were now part of the massive Army of the Potomac. Under Smith’s leadership, their regiment and brigade would help to defend the nation’s capital from the time of their September arrival through late January when the 47th Pennsylvania would be ordered to the Deep South. Next ordered to move from their Virginia encampment back to Maryland, the 47th Pennsylvania Volunteers left Camp Griffin at 8:30 a.m. on Wednesday, 22 January 1862. Marching through deep mud with their equipment for three miles in order to reach the railroad station at Falls Church, they were then transported by train to Alexandria. Once there, they boarded the steamship City of Richmond, and sailed the Potomac to the Washington Arsenal, where they were reequipped before being marched off for dinner and rest at the Soldiers’ Retreat in Washington, D.C. The next afternoon, they hopped cars on the Baltimore & Ohio Railroad and headed for Annapolis, Maryland. Arriving around 10 p.m., they were assigned quarters in barracks at the Naval Academy. They then spent that Friday through Monday (24-27 January 1862) loading their equipment and other supplies onto the steamship Oriental. Ferried to the big steamship by smaller steamers on 27 January 1862, the 47th Pennsylvania Volunteers then commenced boarding – enlisted men first, followed by their officers. Per the directive of Brigadier-General Brannan, they then steamed away for the Deep South at 4 p.m. – headed for Florida which, despite its secession from the Union, remained strategically important to the Union due to the presence of Forts Taylor and Jefferson in Key West and the Dry Tortugas. 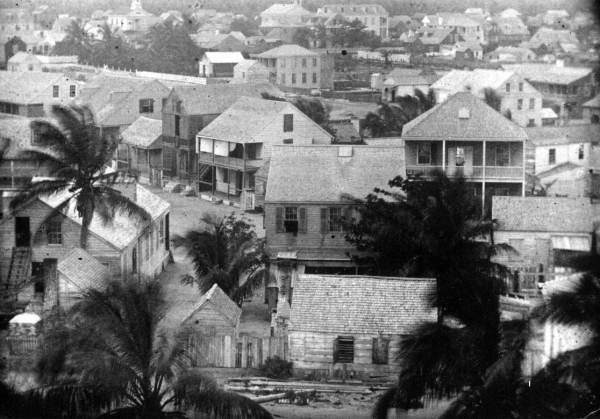 Key West, Florida, c. 1850 (courtesy of Florida Memory Project). In February 1862, Company I and the 47th Pennsylvania Volunteers arrived in Key West, where they were assigned to garrison Fort Taylor. Drilling daily in heavy artillery tactics and other military strategies, they also felled trees and helped to build new roads and strengthen fortifications at the installation. During the weekend of Friday, 14 February, the regiment then introduced its presence to Key West residents by parading through the streets of the city. That Sunday, members of the regiment also mingled with locals at area church services. From mid-June through July, the 47th Pennsylvanians were then ordered to Hilton Head, South Carolina where they made camp before being housed in the Department of the South’s Beaufort District. Picket duties north of the 3rd Brigade’s camp put soldiers assigned to that duty at increased risk from sniper fire. According to historian Samuel P. Bates, the men of the 47th “received the highest commendation from Generals Hunter and Brannan” for their “attention to duty, discipline and soldierly bearing” during this phase of service. 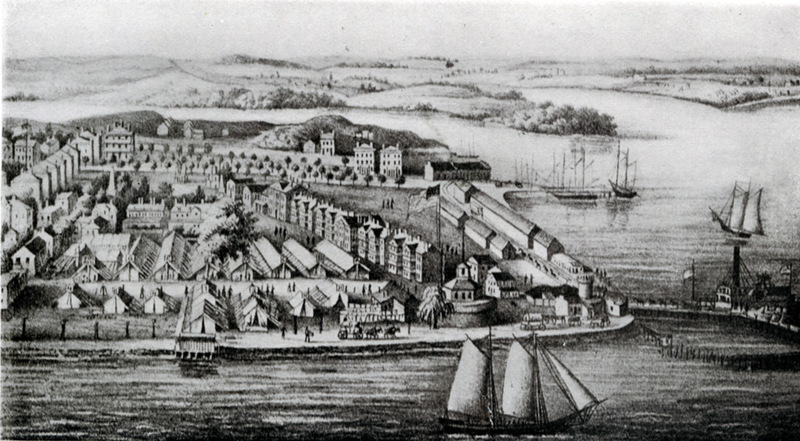 Sent on a return expedition to Florida as September 1862 waned, Private Thomas Burke and his fellow I Company members saw their first truly intense moments of service when their unit participated with the 47th Pennsylvania and other Union regiments in the capture of Saint John’s Bluff from 1 to 3 October. Commanded by Brigadier-General John M. Brannan, the 47th Pennsylvanians disembarked with a 1,500-plus Union force at Mayport Mills and Mount Pleasant Creek from troop carriers guarded by Union gunboats. Taking point, the 47th Pennsylvanians then led the 3rd Brigade through 25 miles of dense, pine forested swamps populated with deadly snakes and alligators. By the time the expedition ended, the Union brigade had forced the Confederate Army to abandon its artillery battery atop Saint John’s Bluff, and had paved the way for the Union Army to occupy the town of Jacksonville, Florida. Along the way, two companies from the 47th Pennsylvania (E and K) also helped capture the Gov. Milton, a Confederate steamer equipping the bluff and surrounding Rebel troop placements with men and supplies. From 5-15 October 1862, the 47th Pennsylvania Volunteer Infantry then made history – becoming an integrated regiment with the enrollment of several young black men who had been freed by the regiment from slavery at plantations near Beaufort, South Carolina. From 21-23 October 1862, under the brigade and regimental commands of Colonel Tilghman H. Good and Lieutenant Colonel George W. Alexander, the 47th Pennsylvania Volunteers engaged Confederate forces in and around Pocotaligo, South Carolina. Landing at Mackay’s Point, the men of the 47th were placed on point once again, but they and the 3rd Brigade were less fortunate this time. Harried by snipers en route to the Pocotaligo Bridge, they met resistance from an entrenched, heavily fortified Confederate battery which opened fire on the Union troops as they entered an open cotton field. 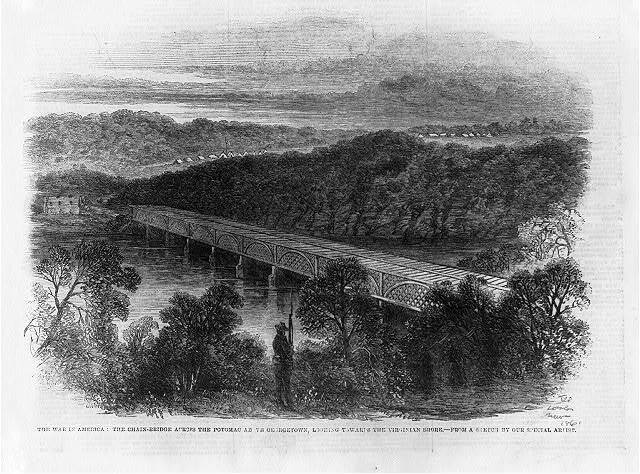 The Union soldiers grappled with the Confederates where they found them, pursuing the Rebels for four miles as they retreated to the bridge. There, the 47th relieved the 7th Connecticut. But the enemy was just too well armed. After two hours of intense fighting in an attempt to take the ravine and bridge, depleted ammunition forced the 47th to withdraw. Losses for the 47th were significant. Two officers and 18 enlisted men died; another two officers and 114 enlisted from the 47th were wounded. On 23 October, the 47th Pennsylvania returned to Hilton Head, where it served as the funeral Honor Guard for General Ormsby M. Mitchel, the commander of the U.S. Army’s 10th Corps and Department of the South who had succumbed to yellow fever on 30 October. (Mitchelville, the first Freedmen’s town created after the Civil War, was later named for him.) Men from the 47th Pennsylvania were given the high honor of firing the salute over his grave. By 1863, Private Thomas Burke and his fellow I Company soldiers were once again based with the 47th Pennsylvania in Florida. Having been ordered back to Key West on 15 November of 1862, much of 1863 was spent guarding federal installations in Florida as part of the 10th Corps, Department of the South. 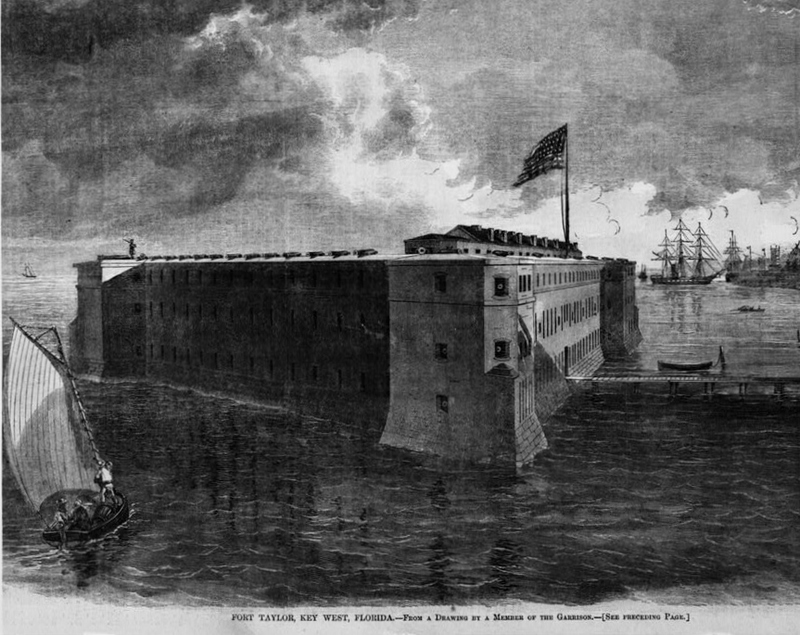 Once again, Companies A, B, C, E, G, and I were assigned to garrison Fort Taylor in Key West, but this time, Companies D, F, H, and K were detached and sent to Fort Jefferson in Florida’s Dry Tortugas. The time spent here was notable for the prevalence of disease, which became a constant companion and foe, as well as for the 47th Pennsylvanians’ dedication to duty. More than half of those who could have returned home upon expiration of their respective three-year terms of service chose instead to re-enlist, including Private Thomas Burke, who re-enrolled at Fort Taylor in Key West, Florida on 8 October 1863. U.S. Military and New Orleans, Opelousas & Great Western trains (Algiers railroad shop, Louisiana, c. 1865, public domain). One who did not finish the fight, however, was I Company Captain Coleman A. G. Keck, who resigned his commission on 22 February 1864 due to disability. Three days later, the regiment embarked on a history-making journey. Steaming for New Orleans, Louisiana aboard the Charles Thomas on 25 February, the 47th Pennsylvania Volunteers arrived in Algiers three days later, and were transported by train to Brashear City. Following another steamer ride – to Franklin via the Bayou Teche – they were attached to the 2nd Brigade, 1st Division of the Department of the Gulf’s 19th Army Corps, becoming the only Pennsylvania regiment to serve in the Red River Campaign of Union General Nathaniel Banks. From 14-26 March, the men of Company I – now under the command of their 1st Lieutenant Levi Stuber – joined with their fellow 47th Pennsylvanians in trekking through New Iberia, Vermillionville, Opelousas, and Washington while en route to Alexandria and Natchitoches, Louisiana. Often short on food and water, the men encamped briefly at Pleasant Hill the night of 7 April before continuing on the next day, marching until mid-afternoon. On 4 April 1864, the regiment added more young black soldiers to its roster when Hamilton Blanchard (also known as John Hamilton) and Aaron, James and John Bullard enrolled for service with the 47th Pennsylvania after being freed from slavery on plantations near Natchitoches, Louisiana. * Note: According to his entry in the Civil War Veterans’ Card File at the Pennsylvania State Archives, John Bullard was officially mustered in for duty at Morganza, Louisiana on 22 June “as (Colored) Cook” with Company D. He would later be transferred to Company I, making that company another integrated unit within the 47th Pennsylvania Volunteers. Casualties were once again severe. Lieutenant Colonel G. W. Alexander was nearly killed, the regiment’s two color-bearers, both from Company C, were also wounded while preventing the American flag from falling into enemy hands, and Corporal William Frack of I Company was killed in action while I Company’s Sergeant William H. Halderman (alternate spelling “Haltiman”) and Corporal William H. Meyers of were wounded. Still others from the 47th were captured, marched roughly 125 miles to Camp Ford, a Confederate Army prison camp near Tyler, Texas, and held there as prisoners of war until released during prisoner exchanges beginning 22 July 1864. Sadly, at least two men from the 47th never made it out of that POW camp alive. Following what some historians have called a rout by Confederates and others have labeled a technical victory for the Union or a draw for both sides, the 47th fell back to Grand Ecore, where the men resupplied and regrouped until 22 April. Retreating further to Alexandria, the 47th Pennsylvania Volunteers and their fellow Union soldiers then scored a clear victory against the Confederates near Monett’s Ferry in the Battle of Cane Hill on 23 April 1864. Christened “Bailey’s Dam” for Lieutenant-Colonel Joseph Bailey, this timber dam built near Alexandria, Louisiana facilitated Union gunboat passage on the Red River (public domain). 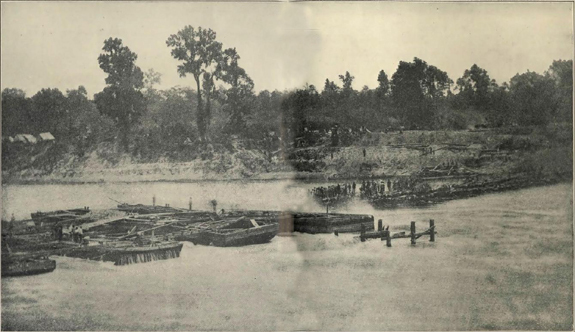 Assigned temporarily to the command of Lieutenant Colonel Joseph Bailey, the 47th Pennsylvania Volunteers next helped to build a dam near Alexandria, Louisiana (from 30 April through 10 May). Christened “Bailey’s Dam,” the timber structure enabled federal gunboats to more easily negotiate the Red River’s fluctuating water levels. Beginning 16 May, the 47th Pennsylvanians marched from Simmsport across the Atchafalaya to Morganza en route to New Orleans, where it 20 June. On the 4th of July, they learned their fight was not yet over as they received new orders to return to the East Coast for further duty. 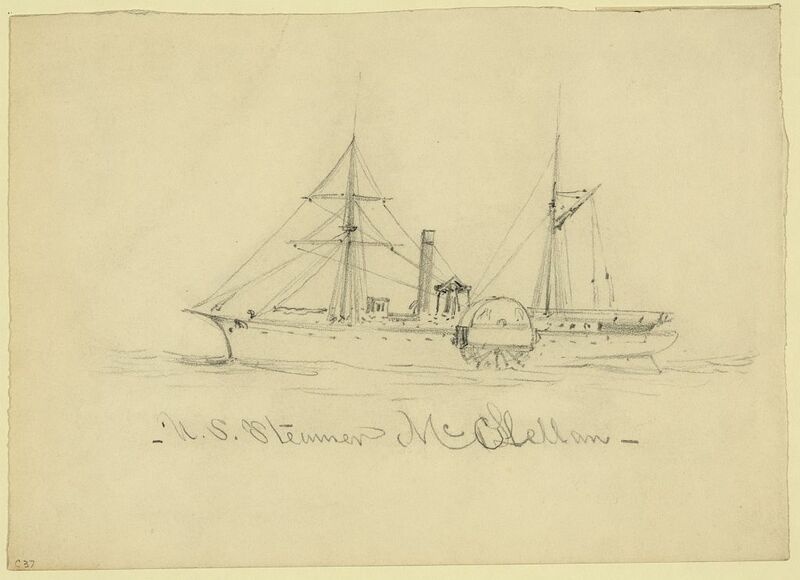 Still able and willing to fight after their time in Bayou country, seven of the regiment’s 10 companies steamed aboard the McClellan beginning 7 July 1864 while the remainder of the regiment stayed behind in New Orleans awaiting transportation. Following their arrival in Virginia and a memorable encounter with President Abraham Lincoln on 12 July, the men from Companies A, C, D, E, F, H, and I joined up with General David Hunter’s forces at Snicker’s Gap in mid-July 1864. There, they fought in the Battle of Cool Spring and, once again, assisted in defending Washington, D.C. while also helping to drive Confederate troops from Maryland. 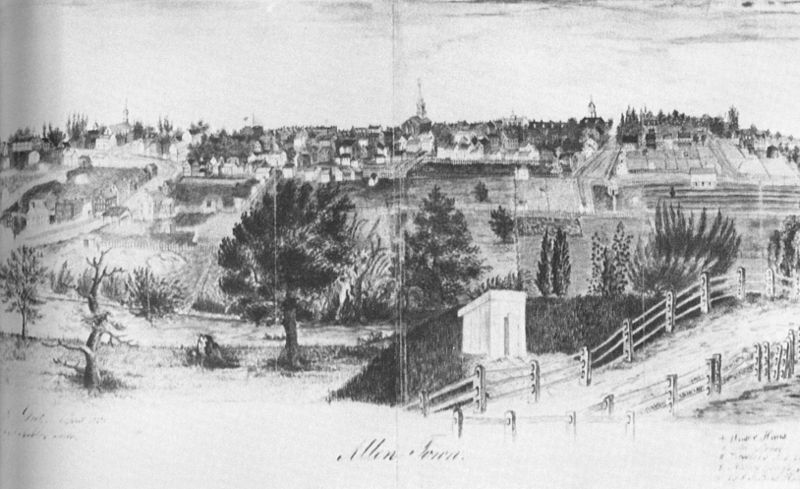 Attached to the Middle Military Division, Army of the Shenandoah and assigned to defensive duties in and around Halltown, Virginia beginning in August, the 47th Pennsylvania then joined other Union troops in a series of back-and-forth movements between Halltown, Berryville and other locations within the vicinity (Middletown, Charlestown and Winchester) as part of a “mimic war” being waged by Sheridan’s Union forces with those commanded by Confederate Lieutenant-General Jubal Early. * Note: Private Thomas Burke and his fellow I Company soldiers were now under the command of Captain Levi Stuber, who had been promoted from 1st Lieutenant on 1 August 1864. 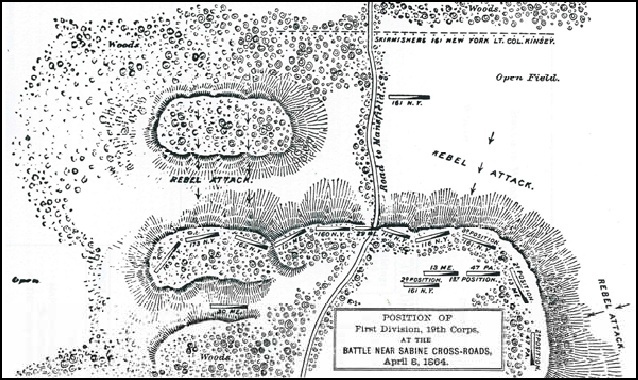 From 3-4 September, the regiment next engaged in the Battle of Berryville, Virginia. Together with other regiments under the command of Union General Philip H. (“Little Phil”) Sheridan and Brigadier-General William H. Emory, commander of the 19th Corps, Private Thomas Burke and his fellow 47th Pennsylvania Volunteers helped to inflict heavy casualties on Lieutenant General Jubal Early’s Confederate forces in the Battle of Opequan (also spelled as “Opequon” and referred to as “Third Winchester”). The battle is still considered by many historians to be one of the most important during Sheridan’s 1864 campaign; the Union’s victory here helped to ensure the reelection of President Abraham Lincoln. The 47th Pennsylvania’s march toward destiny at Opequan began at 2 a.m. on 19 September 1864 as the regiment left camp and joined up with others in the Union’s 19th Corps. After advancing slowly from Berryville toward Winchester, the 19th Corps’ movement slowed for several hours, bogged down by the massive movement of Union troops and supply wagons. Meanwhile, Early’s Confederates were digging in. When they finally reached Opequan Creek, Sheridan’s men came face to face a worrisome number of CSA troops. The fighting, which began in earnest at noon, was long and brutal. The Union’s left flank (6th Corps) took a beating from Confederate artillery stationed on high ground. On the day of the Union’s success at Opequan (19 September 1864), several men from I Company received promotions, including 1st Sergeant Theodore Mink, who advanced to the rank of 2nd Lieutenant, and Private Thomas N. Burke, who became Corporal Burke. Afterward, the 47th Pennsylvania Volunteers were sent out on skirmishing parties before making camp at Cedar Creek. Moving forward, they and other members of the 47th Pennsylvania Volunteers would continue to distinguish themselves in battle, but they would do so without their two most senior officers, who mustered out 23-24 September upon expiration of their respective terms of service. Fortunately, they were replaced by others equally admired both for temperament and their front line experience, including John Peter Shindel Gobin, a man who would later go on to become Lieutenant Governor of the Commonwealth of Pennsylvania. 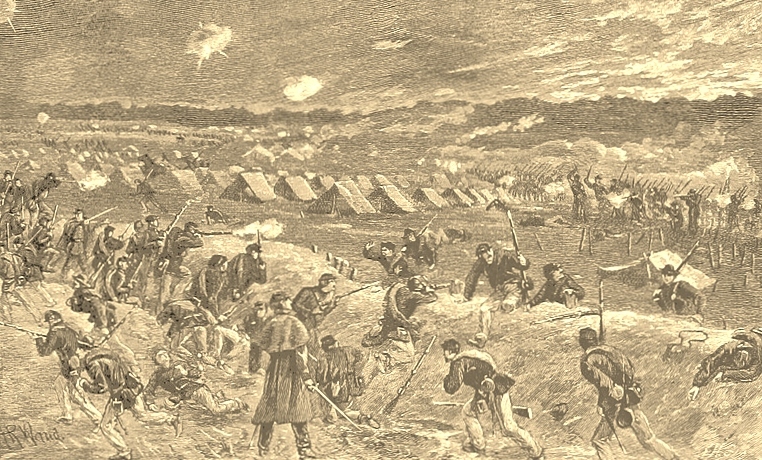 Alfred Waud’s 1864 sketch, Surprise at Cedar Creek, captured the flanking attack on the rear of Union Brigadier-General William Emory’s 19th Corps by Lieutenant General Jubal Early’s Confederate army and the subsequent resistance by Emory’s troops from their Union rifle-pit positions, 19 October 1864 (public domain). It was during the Fall of 1864 that General Philip Sheridan began the first of the Union’s true “scorched earth” campaigns, starving the enemy into submission by destroying Virginia’s crops and farming infrastructure. Viewed through today’s lens of history as inhumane, the strategy claimed many innocents – civilians whose lives were cut short by their inability to find food. This same strategy, however, certainly contributed to the further turning of the war’s tide in the Union’s favor during the Battle of Cedar Creek on 19 October 1864. Successful throughout most of their engagement with Union forces at Cedar Creek, Early’s Confederate troops began peeling off in ever growing numbers to forage for food, thus enabling the 47th Pennsylvania and others under Sheridan’s command to rally. Once again, the casualties for the 47th were high. Sergeant William Pyers, the C Company man who had so gallantly rescued the flag at Pleasant Hill was cut down and later buried on the battlefield, as were a number of men from I Company. Even the regiment’s chaplain, Rev. W. D. C. Rodrock, suffered a near miss as a bullet pierced his cap. As with the Red River Campaign, men from the 47th Pennsylvania were also captured by Rebel soldiers and carted off to Confederate prisons at Andersonville, Georgia, Richmond, Virginia and Salisbury, North Carolina. This time, however, only a handful of those POWs survived. Following these major engagements, the 47th was ordered to Camp Russell near Winchester, Virginia, where it remained from November through most of December. 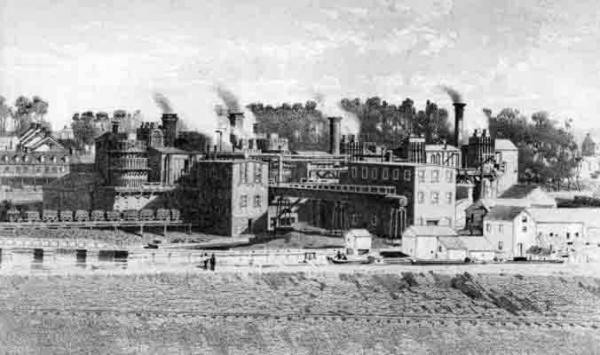 Rested and somewhat healed, the 47th Pennsylvanians were then ordered to outpost and railroad guard duties at Camp Fairview in Charlestown, West Virginia. Five days before Christmas, they trudged through deep snow to reach their new home. Assigned first to the Provisional Division of the 2nd Brigade of the Army of the Shenandoah in February 1865, the men of the 47th Pennsylvania moved back to Washington, D.C. – via Winchester and Kernstown. 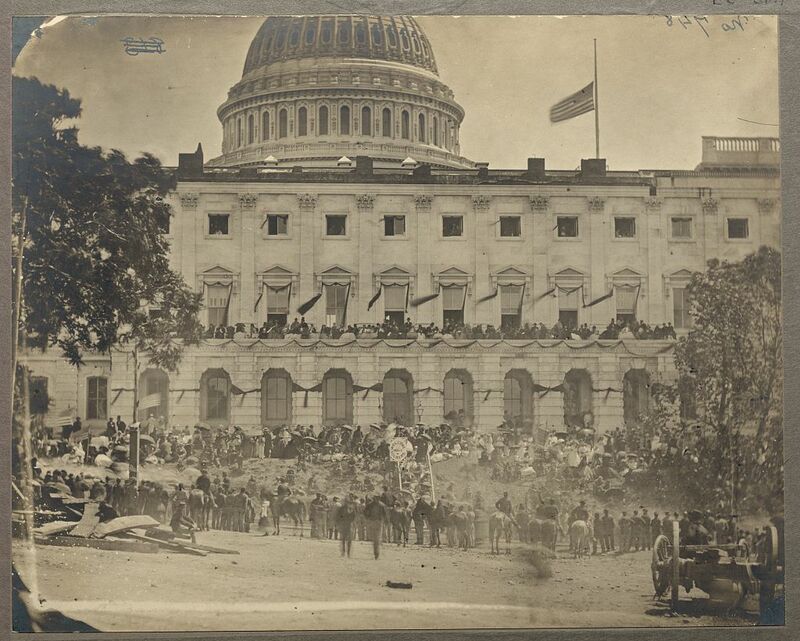 Beginning 19 April, they were again responsible for helping to defend the nation’s capital – this time following the assassination of President Abraham Lincoln. Encamped near Fort Stevens, they received new uniforms and were resupplied. Letters home and later newspaper interviews with survivors of the 47th indicate that at least one 47th Pennsylvanian was given the high honor of guarding President Lincoln’s funeral train while others may have guarded the Lincoln assassination conspirators during the early days of their imprisonment and trial. 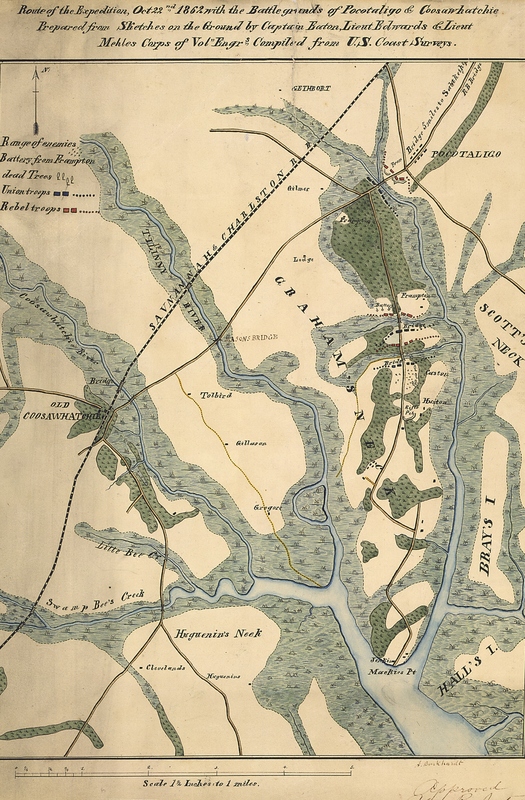 As part of Dwight’s Division of the 2nd Brigade of the Department of Washington’s 22nd Corps, the 47th Pennsylvania then participated in the Union’s Grand Review of the Armies on 23-24 May. It was also during this phase of duty that I Company Captain Levi Stuber was promoted to the rank of Major with the regiment’s central command staff, and 1st Lieutenant Theodore Mink was advanced to the rank of Captain, I Company (22 May 1865). On their final southern tour, Corporal Thomas Burke and fellow 47th Pennsylvania Volunteers served in Savannah, Georgia from 31 May to 4 June. 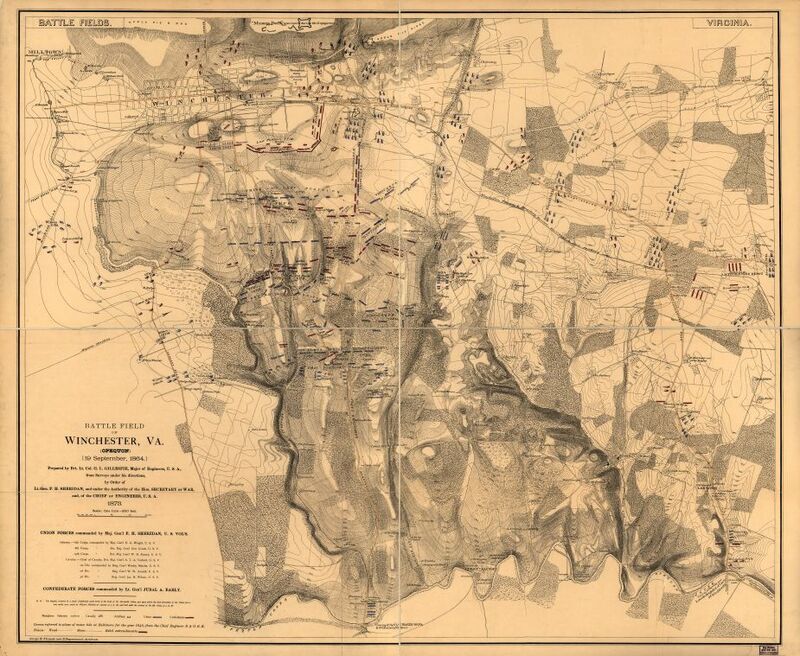 Again in Dwight’s Division, this time they were with the 3rd Brigade, Department of the South. Relieving the 165th New York Volunteers in July, the 47th Pennsylvania Volunteers quartered in the former mansion of the Confederate Secretary of the Treasury at Charleston, South Carolina. On 11 July 1865, Corporal Thomas Burke was promoted to the rank of Sergeant. Duties during this phase of service were largely Provost (military police) and Reconstruction-related (rebuilding or repairing key parts of the region’s infrastructure which had been damaged or destroyed during the long war). Finally, on Christmas Day, 1865, Sergeant Thomas Burke and his fellow members of the 47th Regiment, Pennsylvania Volunteer Infantry began to honorably muster out at Charleston, South Carolina – a process which continued through early January. Following a stormy voyage home, the 47th Pennsylvania disembarked in New York City. The weary men were then shipped to Philadelphia by train where, at Camp Cadwalader on 9 January 1866, the 47th Pennsylvania Veteran Volunteers were officially given their discharge papers. Following his honorable discharge from the military, Thomas N. Burke returned home to the Lehigh Valley, hoping to begin life anew. Three years later he did just that when, in June 1868, he wed Sarah Ruhe (1849-1911). A native of Allentown who had been born on 4 November 1849, she was a daughter of Jacob and Mary (Landis) Ruhe. Sometime around this same time, the young couple made the difficult decision to radically change their lives. As they set out in early to mid-1871, they made their way west in search of a more prosperous future. After settling in Anamosa, Jones County, Iowa, they greeted the arrival of their daughter, Mary A. Burke (1871-1918), who was born in August 1871 and was lovingly nicknamed “Mamie.” Another daughter – Bella (1876-1887) – arrived five years later. 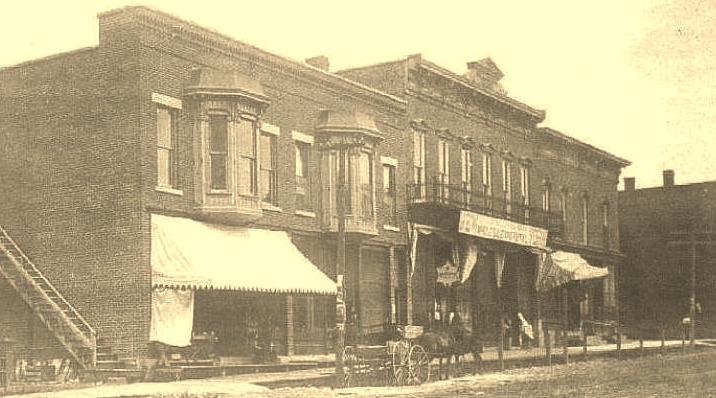 Garnavillo Street, Anamosa, Iowa (c. 1891, public domain). By 1880, Thomas Burke was a carpenter residing in the Village of Amber, Wayne Township, Jones County with his wife and daughter Mamie. But like many of his fellow 47th Pennsylvania Volunteers, he was experiencing health issues – ailments which had their genesis in his long and difficult military service, and were worrisome enough that they prompted him to file for a U.S. Civil War Pension in 1885. A number of friends of Mr. and Mrs. Thomas Burke gathered at their residence on Garnavillo street last Monday evening. The occasion was the twenty-fifth anniversary of their wedding, and the call was unexpected. Rev. A. H. Ballard, in a felicitous speech, presented the worthy couple a beautiful set of imported dishes on behalf of their church friends, and silverware as tokens of remembrance from relatives and others. After a bountiful repast and hearty congratulations the company departed, leaving a bright remembrance in the lives of Mr. and Mrs. Burke. 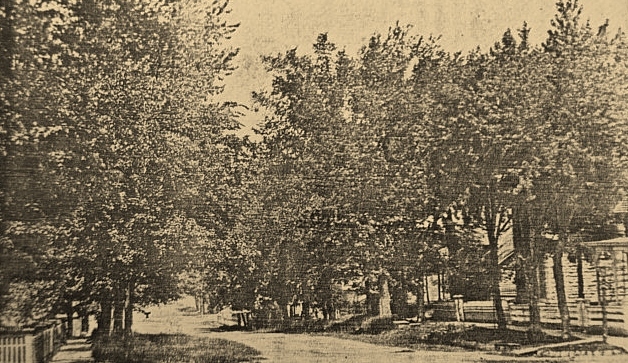 Main and Garnavillo Street, Anamosa, Iowa (late 1890s-early 1900s, public domain). Still residing in Anamosa in 1895, the happy couple’s household of four also included their two-year-old granddaughter, Ruth Scroggs, and 16-year-old Nellie Hackett. The Iowa census taker that year also noted that Thomas Burke was a Baptist who was still employed as a carpenter. * Note: Ruth Scroggs was the daughter of Mamie Burke and Charles Porter Scroggs (1866-1925), who were married in Anamosa, Jones County Iowa on 9 May 1897, according to a FamilySearch transcription of Iowa County marriage records. Born sometime around 1867, C. P. Scroggs was a son of Eliza (Graves) Scroggs and Joseph Porter (“Port”) Scroggs, a respected business and civic leader in Jones County. Having lived to see the turn of a new century, Thomas Burke and his wife had become “empty nesters” by 1905. Still living in Anamosa, they would have just five more years together. His life very likely shortened by the physical stress of his difficult Civil War military service, Thomas N. Burke passed away in Anamosa, Jones County, Iowa on 22 October 1910, and was laid to rest at the Riverside Cemetery there. Iowa burial records indicated that he had been employed as a contractor prior to his death. Mrs.Thos. Burke died last Sunday morning. She was taken ill about a week previous to her death and her illness developed into congestion of the lungs and paralysis, resulting in her demise. She had been a great sufferer for years from diabetes. Her husband, Mr. Thos. Burke, died about four month ago. Mrs. Burke’s death occurred at her own home in this city where she was being cared for in the family of Mr. Frank Niles, and of this care there is much to be said that is commendatory. The funeral occurred last Tuesday and was conducted by Rev. Schieck of the Baptist church. The deceased was born in Allentown, Pennsylvania, Nov. 4th, 1849. She was united in marriage to Thomas Burke in June of 1868. She was the mother of three children and of these, but one survives, Mrs. C. P. Scroggs. A sister, Mrs. Frank Steckel, and one brother, H. E. Ruhe, also survive. Mr. and Mrs. Burke came west in 1871 and became residents of Anamosa. They continued their residence here until the final summons came. The decedent became converted and united with the church early in life. She was a woman of kindly impulses and the charities and favors she bestowed upon the needy, were clothed in reticence and modesty. Sadly, their daughter, Mamie (Burke) Scroggs, also joined them in death just seven years later. Having undergone a period of convalescence at a sanitarium following surgery sometime in late 1905 or early 1906, according to the 18 January 1906 edition of The Anamosa Eureka, she had continued to make a life with her husband in Anamosa until her passing there at the age of 47 on 5 October 1918. Like her sister and parents before her, she was also then buried at the Riverside Cemetery. 2. Burke, Thomas N., in Civil War Veterans’ Card File, 1861-1866. Harrisburg, Pennsylvania: Pennsylvania State Archives. 3. Burke, Thomas N. and Burke, Amanda, in U.S. Civil War Pension General Index Cards (application no. : 531991, certificate no. : 822716, filed by the veteran 9 February 1885; application no. : 951743, certificate no. : 714595, filed by the veteran’s widow from Iowa, 2 November 1910). Washington, D.C.: U.S. National Archives and Records Administration. 4. Death of Mrs. Thos. Burke, in Deaths of Week. Anamosa, Iowa: The Anamosa Eureka, 2 March 1911. 5. Iowa State Census: Jones County, 1885, 1895, 1905. 6. Mamie Burke, Charles P. Scroggs, Thomas Burke, Amanda Ruhe, J. P. Scroggs, Eliza Gram [sic], in Marriage Records. Jones County, Iowa: Jones County Courthouse, 9 May 1897. 7. Miss Belle (obituary of Bella Burke), in Personals. Anamosa, Iowa: The Anamosa Eureka, 29 December 1887. 8. Thomas N. Burke and William Burke, and Amanda Ruhe Burke, Jacob Ruhe and Mary Landis, in Iowa Deaths and Burials, 1850-1990 (Anamosa, Jones County, 22 October 1910 and 26 February 1911). Salt Lake City, Utah: FamilySearch and the Genealogical Society of Utah, Salt Lake City. 10.The Twenty-Fifth Anniversary (25th wedding anniversary celebration of Thomas and Amanda Burke). Anamosa, Iowa: The Anamosa Eureka, 11 June 1891. 11. U.S. Census. Washington, D.C., Pennsylvania and Iowa: 1880.